According to my clock on the mantlepiece, the universe is somewhere around 14 billion years old, give or take a few million years. Our solar system (and therefore, Earth itself) is around 4.5 billion years old. But my clock is set to secular timekeeping and not observed data. I like the name, has a nice ring to it. Saturn has several rings, and they are showing signs that, according to secular deep-time reckoning, are quite a bit younger than the planet itself. Computer models are giving some wild notions, but the results are based on bad assumptions in the first place. For that matter, an exoplanet orbiting J1407 has a ring system that are going the "wrong" way. Big deal. It happens. But scientists have come up with some ad hoc "maybe an ancient catastrophe" made things go opposite what is expected. What are uniformitarian scientists doing invoking catastrophe, anyway? Slow and gradual, present processes are the key to the past, all that stuff. No, their Big Bang, cosmic evolution, and planetary formation speculations need serious adjustment. Once again, magic invocations on a cosmic scale; just say the words to rescue the "theories", no data necessary. By all means, ignore how the evidence shows that the universe was created recently. Models of the origin of planetary rings are simulations based on fictions. Real physics cannot keep them billions of years old. Researchers at Kobe University claim to have an explanation for planetary rings, Science Daily reports. 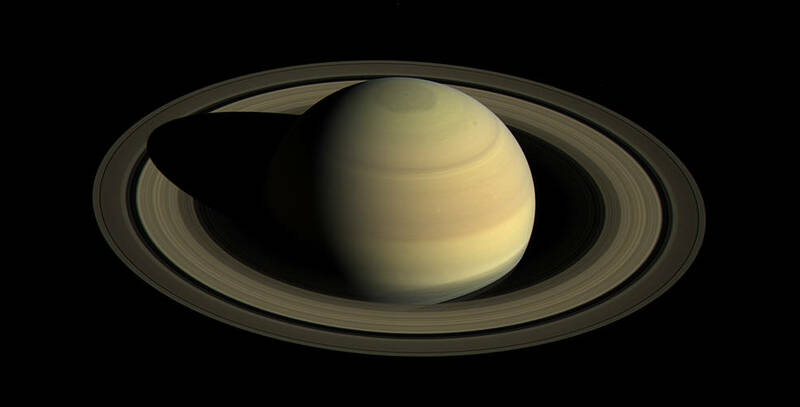 Their supercomputer model accounts for the difference in composition of Saturn’s icy rings, compared to the rocky rings at Uranus and Neptune. The model, however, published in Icarus, relies on two doubtful assumptions. One is the Late Heavy Bombardment (LHB), which we reported on 9/13/16 is coming under fire. It could be a fiction based on poor data analysis of lunar craters. But even if it happened, the model requires heavy doses of luck. Roaming Kuiper Belt Objects would have to come close enough to a planet’s sphere of influence to be captured and disrupted without plunging into the planet or whizzing by at high speed. Appealing to the Late Heavy Bombardment also incurs a timing penalty, taking place far too early to account for the youthful appearance of the rings today. Without a more recent and plausible supply of candidate objects, this latest model seems to reduce to the Stuff Happens Law, for which no empirical evidence of such events is available. No wonder the authors begin, “The origin of rings around giant planets remains elusive.” Here are two examples of ring systems that cannot be as old as their planets. To read the rest, click on "Planetary Rings Defy Long Ages".